Brief：Investment in US real estate from overseas buyers could increase dramatically next year due to changes to the reciprocal US/China visa agreement. Experts also point out that these recent changes to visas provide an opportunity for real estate agents as international buyers tend to greatly appreciate the knowledge and assistance conveyed by real estate agents. Investment in US real estate from overseas buyers could increase dramatically next year due to changes to the reciprocal US/China visa agreement. 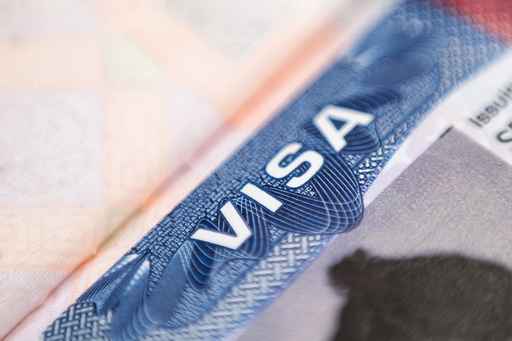 Students can be issued with five year multiple entry visas, while business travelers and tourists can be issued with ten year multiple entry visas. These changes took effect earlier this month, and should make it easier for Chinese who wish to invest in US property. Often Chinese parents will purchase a home for children studying abroad, and the five year visa will also help students on a four year degree course. Chinese investors who are currently undecided about purchasing US property should find these new changes encouraging. According to the article in RisMedia, these changes could bring about a 15% increase in Chinese investment next year. Data from the NAR 2013 Profile of International Home Buying Activity shows the fastest-growing source of International clients has been from China and Canada. Real estate purchases by Chinese buyers have accounted for 12% of international transactions, and many of these are paid for in cash. Apparently Chinese buyers tend to look for property in the highest average price range and will pay cash around 70% of the time. Buyers have an average budget of $3 million and the median property purchase price is $425,000. This is much higher than the US median of $199,500. Popular areas for real estate investment by Chinese purchasers include Houston, Detroit, Philadelphia, Los Angeles and New York City. Experts also point out that these recent changes to visas provide an opportunity for real estate agents as international buyers tend to greatly appreciate the knowledge and assistance conveyed by real estate agents. It’s not always necessary to be fluent in the overseas buyer’s native language. Home sellers may also prefer to find a real estate agent who markets their listings in China, as this is the fastest growing group of overseas buyers and could mean a quicker or better transaction for the seller. Real estate agents are also being advised to make international marketing part of their weekly business plan. It’s thought that the extension of the student visa could have more impact on the US housing market than the changes to the business traveler and tourist visas, as a considerable number of Chinese students are educated in American schools. Even though every Chinese investor is in a slightly different situation, most will have an underlying belief in the US real estate market.